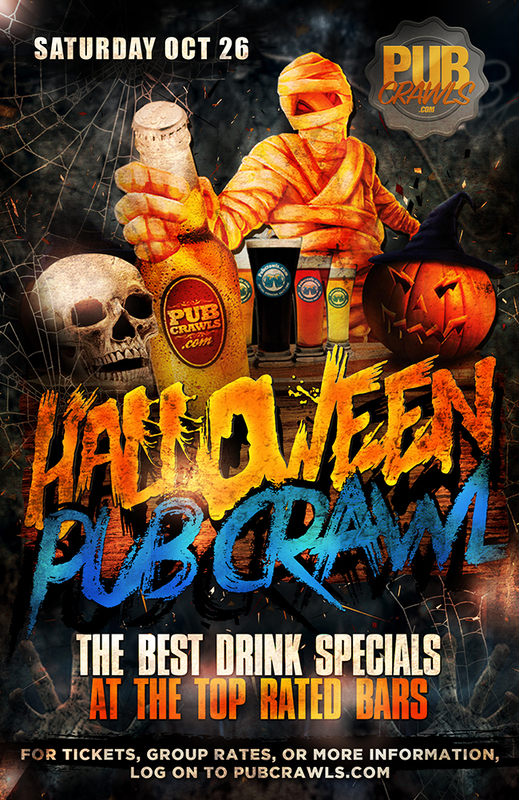 Access for 1 (one) to the annual Newport Beach Halloween Pub Crawl on Saturday October 26. How terrible is it that Halloween is falling on a Wednesday this year? Well, no need to worry because PubCrawls.com has you covered! We will be throwing a huge HalloWeekend crawl and it is coming up quickly! Our crawl will be taking place the Saturday just before the big day. The crawl action takes you to and through some of the coolest spots in Newport Beach. Our crawls offer a unique experience which can be a casual and different way to explore a new city or town. Either way, local or just stopping by it will be a great experience which you will not soon forget. Please be sure to dress up as well. You dont want to be the only group there without costumes. Youll appreciate what your fellow crawlers will be wearing; the outfits are always outrageous! What could beat getting your friends together and partying all over beautiful Newport beach? We cant think of many things that would be. Start calling up your friends and tell them about our great group discount which everyone involved should try to take advantage of! So get moving before you miss out on our crawl in one of Californias best beach towns!